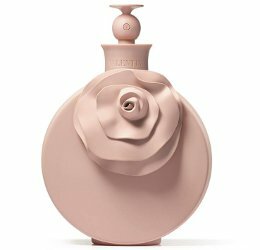 Valentino will launch Valentina Poudre, a new 'ethereal' fragrance for women, early this year. Valentina Poudre is a flanker to 2011′s Valentina and follows last year's Valentina Pink. Valentina Poudre was developed by perfumer Aurélien Guichard. The notes include terracotta powder accord, iris, tuberose, vanilla and sandalwood. Valentino Valentina Poudre will be available in 50 ml Eau de Parfum. Sounds pretty and definitely worth a sniff. I wonder how hard it will be to find? Exactly what I was wondering, since I did not love Valentina and have not bothered to look for the flankers so far. This sounds wonderful, I hope I can find it. I just adore the smell of terracotta powder! I DID Adore Valentina and this sounds YUMMY!!!!!!! !